With the online gambling industry up and running in New Jersey, some operators have expressed concerns about the online options taking away players and revenue from the land-based casinos in the state. Most notably, Caesars Entertainment wrote earlier this week that having such a diverse online gambling offer in the state can reduce the number of visitors that go to its casinos and thus harm the bottom line. The Associated Press released a report which was issued to the US Securities and Exchange Commission, saying that online gambling and land-based casinos will compete for traffic in New Jersey, Nevada and in any other states that would legalize it in the future. According to Caesars, the four brick and mortar casinos the company has in New Jersey will suffer the most since the state allows for a full range of casino games to be offered on the internet, while Nevada is only limited to online poker and thus represents a smaller threat. The Caesars spokesman also mentioned that the report was only made for legal reasons and that it also looks into other potential risks, such as a terrorist attack or war. 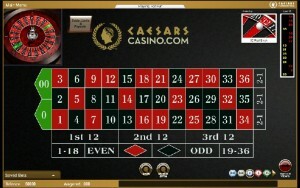 While it just a cautionary approach, the points raised remain valid, despite the fact that opening new channels in order to attract new players has proved to be beneficial for Caesars in the past. 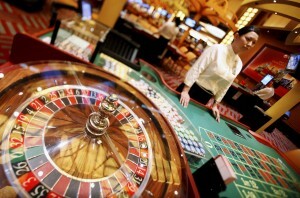 Will online casinos kill off land-based gambling? The question is also one answered by Sheldon Adelson in his ongoing campaign against iGaming in the United States, but his response seems to be a bit too drastic for this scenario. It is safe to say that online gambling will take away some players from the land-based casinos, especially if we consider that operators will use their brand to promote the internet gaming options. However, there are normally big differences in players which enjoy brick and mortar casinos and the experience they offer and players which prefer staying at home and just enjoying the games on the internet. The main concern with any new product that can substitute the existing one from the same company is that the newcomer may “cannibalize” the one on which the entire brand is based upon. The ideal scenario would see the number of players for the new product increase but without the majority of them coming from the existing product. The same economic principle is now up for debate for online gambling in New Jersey and the answer is quite simple. Atlantic City has been struggling for the past several years as competition from surround states has increased and some casinos have even been forced to file for bankruptcy. Now, online gambling provides the operators with a huge competitive advantage over other states and puts them in a great position to take back some of those customers. 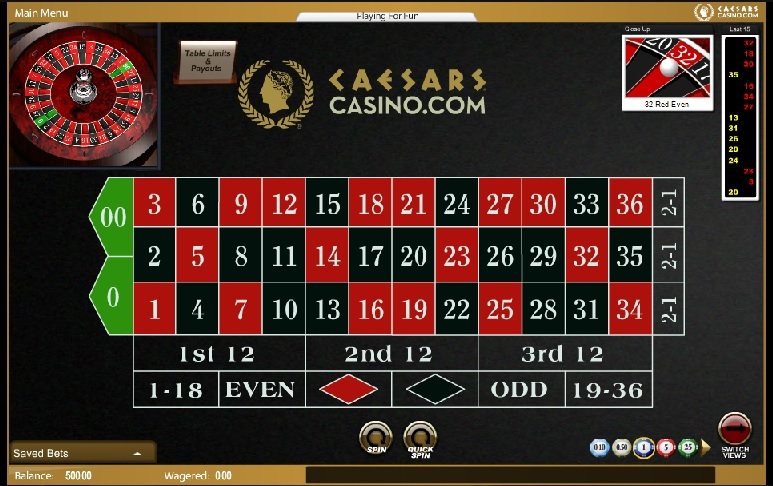 Various promotions can help drive some of the online players to the casino floor and actually help jumpstart the gambling industry in New Jersey. While the risk is there, the alternative would have seen the casinos in Atlantic City slowly lose more ground to nearby competition and make the situation much worse.